Hair is no different from the rest of the body: to be healthy, it needs to be well fed. Why not give it a little boost (and sparkle!) with vitamin and mineral supplements! Here’s an overview of the various ingredients that promise a magnificent mane. Made mostly of keratin, a fibrous protein that’s also found in finger and toe nails, hair is formed in small cavities called follicles. For hair to grow well and remain strong, the follicles must be irrigated with nutrient-rich blood, hence the importance of providing vitamins, minerals, trace elements, amino and fatty acids in large quantities. For each need, there’s an ingredient! If your hair is dry, dull or lacks body, give it magnesium, fatty acids (Omega 3s and 6s) and vitamin A for shine and strength. A few good sources are wheat germ, pollen and fish oils. If your hair has turned white prematurely, it needs zinc. This antioxidant trace element helps make up melanin, the brown pigment that gives colour to skin and hair. Be sure that the zinc supplements you choose also have copper, so you have a balance of both in your body. To combat hair loss, you can count on a few allies. Certain B vitamins strengthen hair while stimulating scalp irrigation and regulating sebum production. Iron, which plays an essential role in cell reproduction, activates regrowth, as do methionine and cysteine, two components of keratin fibres. Most supplements are taken regularly. A daily dose for a few weeks or months in the fall and spring alleviates the shock of seasonal variations, which can cause increased hair loss or a change in the appearance of the hair. For optimal effect, follow the recommended doses and dosages. Warning! 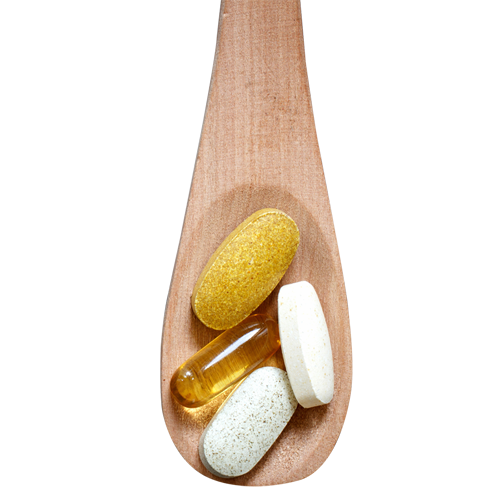 Supplements are not a panacea. Although they can help nourish and improve the condition of your hair, they aren’t a substitute for a healthy, varied and balanced diet! It’s also important to know that they work together: the ingredients they contain often need other components to be well absorbed by the body. Be sure to fill your plate with vitamin-rich fruits and vegetables and to add whole grains, legumes, fish or eggs, for a good dose of protein and minerals. Use a mild shampoo and, a few times a week, a revitalizing lotion or mask. After rinsing, gently towel-dry your hair, avoiding any excessive friction. Reduce aggressors: for example, shampoo your hair immediately after swimming in a pool (goodbye, chlorine! ), and, as often as possible, avoid prolonged exposure to heat from hair dryers and curling irons. Once a week, give yourself a scalp massage to stimulate blood circulation and irrigate your hair follicles. A great way to relax! An ideal product to bring essential nutrients (vitamins B6, B8, E and B3, and iron) to the hair bulb and nail matrix to increase their strength and vitality. 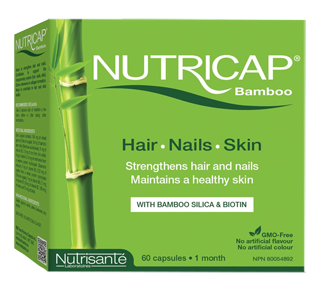 This natural dietary supplement rich in nourishing elements, including bamboo silica, helps strengthen fragile hair and nails and maintains healthy, radiant skin. Rich in vitamins and nutrients, including biotin, vitamins B1, B2, B5, B6, E and beer yeast, this product stimulates growth and helps fortify hair and nails while maintaining healthy skin. With the AminoMar marine complex, silica and vitamin C, this formula comes to the rescue of thinning hair: not only feeding it but boosting its growth. Combining vitamins B, C and E, plant extracts and borage oil rich in fatty acids, these supplements give vitality to hair and help prevent hair loss. 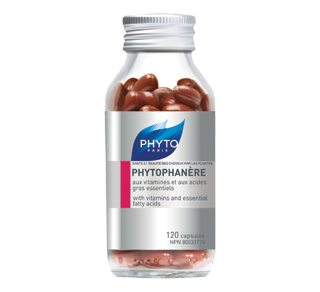 These capsules for men are rich in essential fatty acids, nourishing hair and strengthening hair follicles to help prevent hair loss, while the saw palmetto they contain regulates the hormone responsible for baldness. 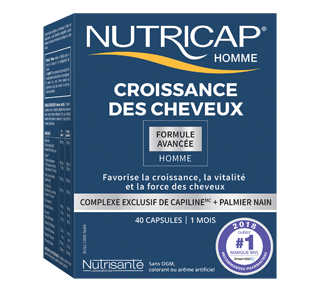 Nutricap men capsules help growth and development of hair. 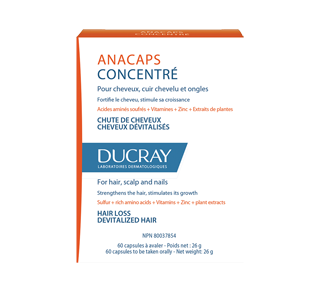 This product nourishes hair, reinforces hair follicles and helps to prevent hair loss. Have beautiful hair and nails reflects a great health. 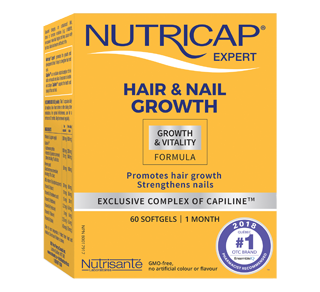 Nutricap is a natural solution which brings strength, volume and shine. Fortifies hair. Strengthens nails. For hair and nails. A 'beauty pill' that supports shiny, fuller hair, stronger nails and glowing skin from the inside out. Bamboo provide the essential nutrients to nourish and strengthen hair, nails, and skin from within. Dietary deficiencies can affect the health of your hair. So give a helping hand (and some shine!) to your hair by providing it with the vitamin and mineral supplements it needs. Here’s a rundown of the ingredients that will give you stunning locks!